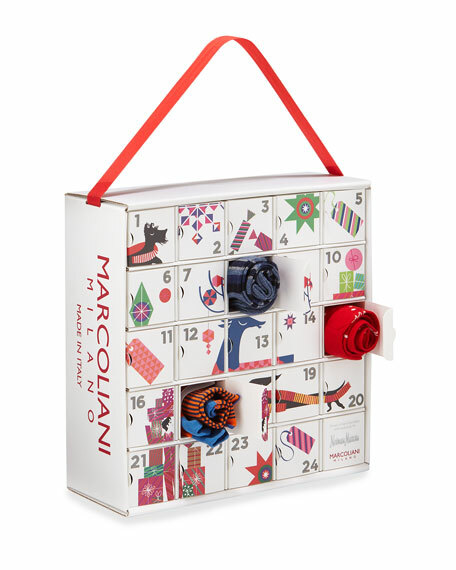 Marcoliani introduces an Advent Calendar of luxury socks from the finest Italian yarns. 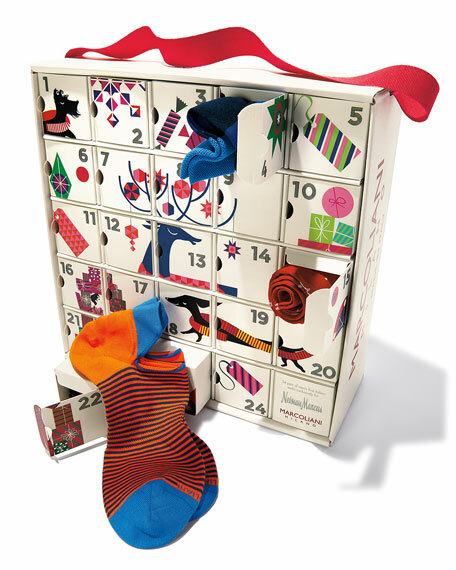 Each day of the calendar reveals a new motif or lengthfrom classic stripes to bicycle intarsia, ankle socks to no-show socks. Includes 24 pairs of socks. 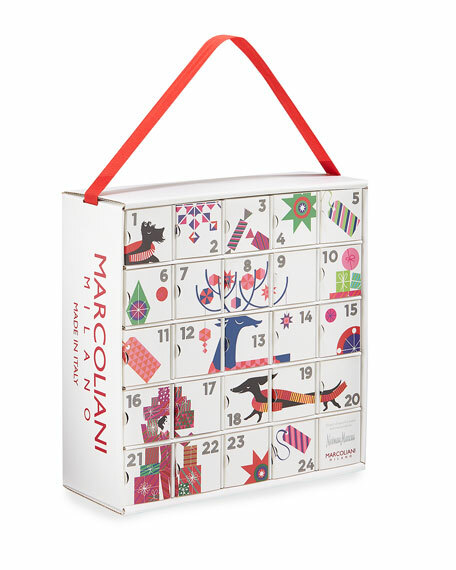 For in-store inquiries, use sku #2340112.